One of the things I love about Jesus’ parables is how unbelievable some of them are. He throws in so many unexpected twists and characters that there’s no possible way some of those parables could ever actually happen. A man who sells all he has to get one pearl? Sure. The story of the workers in the vineyard, where the owner pays the guys who worked one hour the same thing he paid the guys who worked 12 hours? Never going to happen in the real world. Imagine pitching, say, “The Parable of the Unforgiving Servant” as a TV show idea. Um, yeah, we can’t use this. Sorry, but it’s just too far-fetched. This guy’s debt is unrealistic, and there’s no way the king would just cancel it all because he asked him to. And then for him to be such a jerk to his fellow worker regarding his small debt is completely ridiculous. Give us something people can believe. But here’s the thing- this story has happened. And you’re one of the main characters. In case you can’t recall all the details of this particular parable, check out Matthew 18:21-35, the Gospel lesson from a couple Sundays ago. This servant owes the king a fantastic sum. 10,000 talents was insanely high. One single talent was the equivalent of “about 20 years’ wages for a daily laborer,” according to the footnote in my ESV text. Okay, so let’s translate this into modern terms. Let’s work with a fairly low sum for a blue collar worker in America today. Let’s just start with a modest $30,000 a year. A “talent,” therefore, would be $30,000 x 20, which is $600,000. Now, this guy owed 10,000 talents, so $600,000 x 10,000 = 6,000,000,000. That’s 6 billion dollars, and that’s even using a low salary from the start. That’s just crazy. How he got the debt we’ll never know, but this guy wasn’t Bill Gates or Michael Jordan. There was no way he could ever pay that back. So he begs the king to have mercy on him until he pays it back. Amazingly, the king doesn’t just give him an extension- he cancels the entire thing! That $6 billion debt is just erased, no questions asked. Incredible! Ah, but what happens next is equally incredible. This newly debt-freed servant goes out and sees another servant who owes him some money. 100 denarii, to be exact. Again, let’s translate that into modern terms. The ESV note says a denarius was a day’s wage for a laborer. So assuming a minimum wage of $8.15 an hour, and an eight-hour workday, that comes to $65.20. (Forget taking out taxes or it just gets confusing.) $65.20 x 100 = $6,520. Now, honestly, that’s a fairly significant sum as well. I mean, if someone owed me that much, yeah, I’d see to it that they paid me back. But compared to the 6 billion dollars the first guy originally owed, this is nothing. It’s roughly 1,000 times less. But the first servant hasn’t learned much from the mercy of the king. Instead of giving his coworker a break, he has the guy thrown into jail until he pays everything back, which the king isn’t thrilled about. In fact, the king throws that first guy into jail himself, this time to be tortured. His second condition is worse than the first would have been, and all because he was unforgiving to his other servant. So how does this apply to you? This parable has both Law and Gospel in it, so let’s look at the Gospel first. The king, of course, is God, and you are the servant who had an impossible debt to pay. We had the debt of sin. Every single person on this earth has that debt, and there’s no possible way any of us could ever repay it. Not in a billion years. God demands absolute perfection, and even the tiniest sin separates us from Him. But because of His love and mercy, He didn’t give us what we deserved. 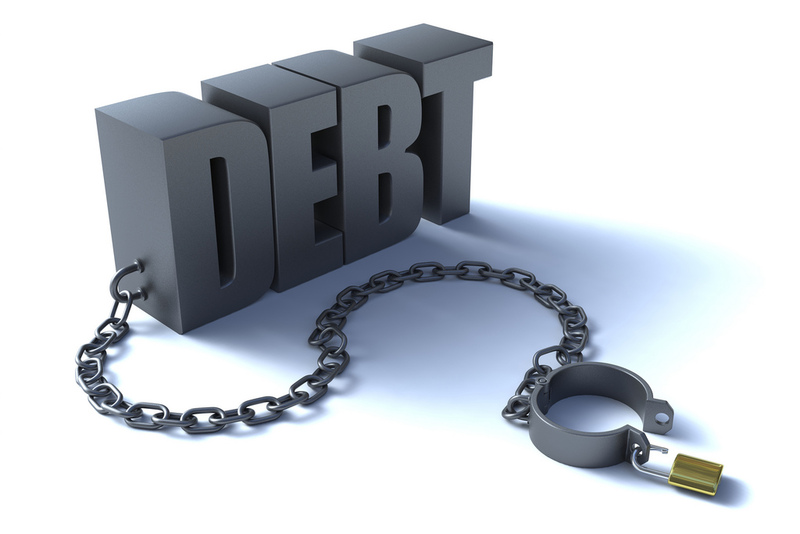 We should rightfully have been sent to jail (aka, hell) until we could pay back our debt, which we could never do. But amazingly, He cancelled our debt because of Jesus’ work on our behalf. That unpayable debt is completely erased. We owe nothing. Unbelievable! Ah, but now for the Law. All too often, we go out and act just like that unforgiving servant. We find a fellow believer who has wronged us and we hold it against them with a grudge in our hearts. We remind them of their transgression over and over, we gossip about it to others, we may even stop going to church because of an offense. In short, we refuse to have mercy. Even after being forgiven an enormous debt ourselves, we can’t seem to extend that same mercy to others. Granted, some people may hurt you badly. Like I mentioned above, that $6520 was nothing to sneeze at. It’s a significant sum in and of itself. There will be people on this earth who wrong you greatly, causing much damage to you personally, financially, or emotionally. And as sinful humans, we desperately want to hold on to that hurt and remind them of it whenever we can. We want others to know how they’ve made us suffer. But that’s not the way of God. Our sins put Jesus on that cross, folks. It was because of you that He suffered and died. But He did it gladly. He doesn’t hold any grudges. He did it freely, out of love. We didn’t even ask Him first. It was “while we were still sinners [that] Christ died for us” (Romans 5:8). It wasn’t because we were sorry enough or worthy enough. That would never happen. He forgave freely so your debt could be erased forever. Unbelievable. So learn from that unforgiving servant. There will be people on this earth who sin against you. It’s a harsh reality of life. But remember that God has first forgiven you an enormous debt. With His help, you can be an instrument of forgiveness and mercy in this world, telling others of the generosity of your heavenly King. Believe it, because it’s all true.